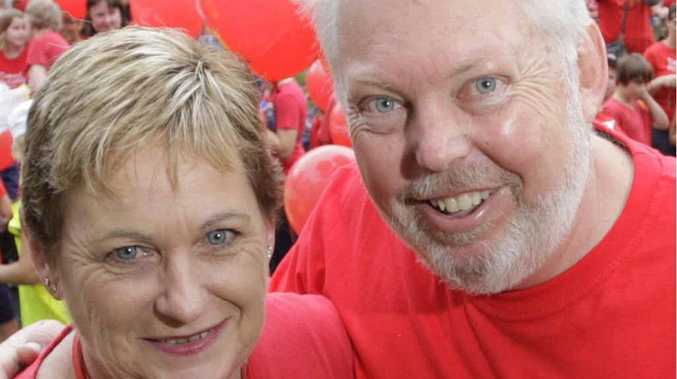 Bruce and Denise Morcombe have worked hard to take the child safety across Australia. THE child safety message might be the theme of a new Daniel Morcombe Foundation event, but having fun will be the most important part of Kids Day Out. The foundation has scheduled the free event for October 1 to take advantage of the new Queen's Birthday holiday to begin from next year. Kids Day Out will this year follow on from the Caloundra Music Festival at the same venue, meaning they could engage some of the carnival stalls and infrastructure from that event. Bruce Morcombe said the DMF committee was still working out the finer details. "Our desire is to incorporate fun activities plus have educational activities on how to keep safe," he said. "We are still working on a variety of ideas, but one option is to include different agencies that have similar values as us and join forces." DMF event manager Tracey McAsey said she was seeking bands for children of all ages, community groups and sponsors to get on board for the event. "It'll be free, educational and entertaining," Ms McAsey said. "It's a fun, family day with an opportunity for people to receive some additional education about child safety. "We'd like to get as many community groups on board as possible. "And if we could get 5000 visitors throughout the day we would be extremely happy. "We wanted to capitalise on the new public holiday, but also it's a prime time because it is school holidays and we can co-operate with the Caloundra Music Festival." Daniel Morcombe was 13 when he was allegedly abducted while waiting for a bus on the Sunshine Coast on December 7, 2003. A man has been charged with his murder and is awaiting trial. Daniel's parents Bruce and Denise have worked hard to take the child safety message throughout Queensland and hope to take it nationally too. Mr Morcombe said he and Denise were encouraged that the new government was pledging strong support to the DMF. "In particular we are excited by the news that the Daniel Morcombe Child Safety Curriculum Program is supported and we look forward to its launch by Education Queensland," he said.